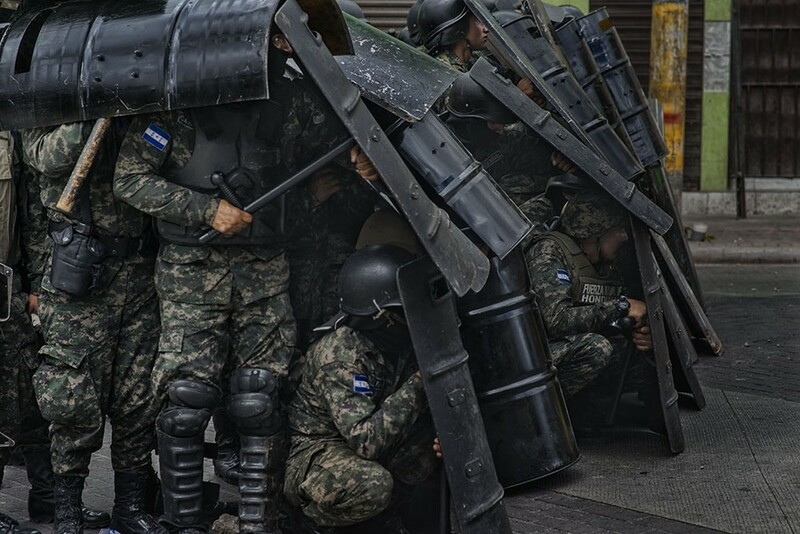 Soldiers take cover from the bombardment of rocks from young protesters who have taken the streets to protest the illegal re-election of Juan Orlando Hernández #JOH on inauguration day. January 2018. Undemocratic State. The re-election of Juan Orlando Hernandez,also known as JOH as president for a second term although it is unconstitutional to run for re-election has been filled with repression and a brutal crackdown to those who oppose the government in power. The future of the country continues to be uncertain.